Albert Watson in the engine room of the Enterprise. The Enterprise was the boat that was used most on the Invergordon run from Cromarty. 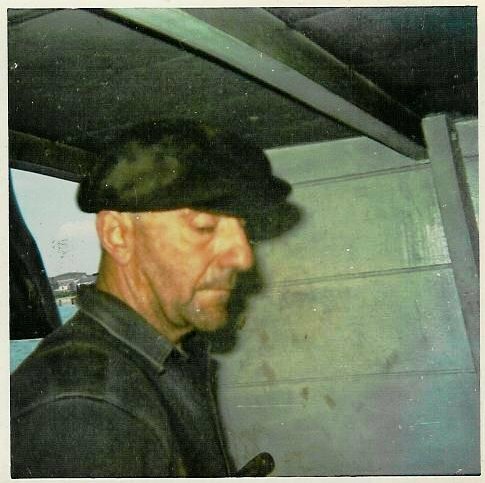 My dad was a postman when we were younger and on a Saturday used to let me go in the van with him to pick up the mail from the Cromarty boat. I never met Albert but dad used to talk about him and it was only in the last ten years I realised how brave a man he was with his exploits on the Cromarty lifeboat. I spoke to his daughter Veronica a few years ago and she said she used to be on the boat with him some Saturdays. Cromarty and the Black Isle seemed so distant then. I used to watch the beam from the Cromarty lighthouse from my bedroom window.